This card shows some Asian elephant babies at the Noorderdierenpark in the Netherlands. It comes from Eleonora. I love the baby elephants with their fuzzy heads and small trunks! Sometimes, baby elephants trip on their trunks. Oops! This one comes from the United States. 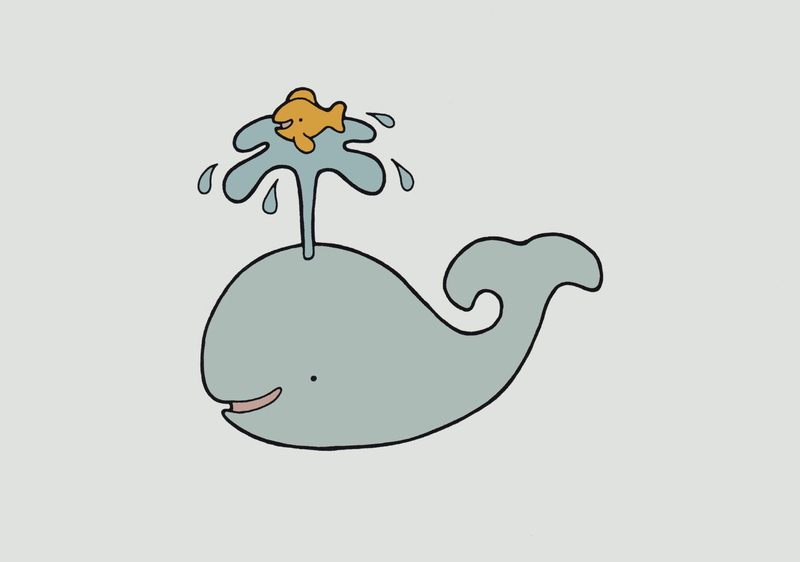 It looks like an Indian elephant with a map of India in the background. My boyfriend mentioned that this is a very bad map. I agree, but only because there is an elephant in the way. 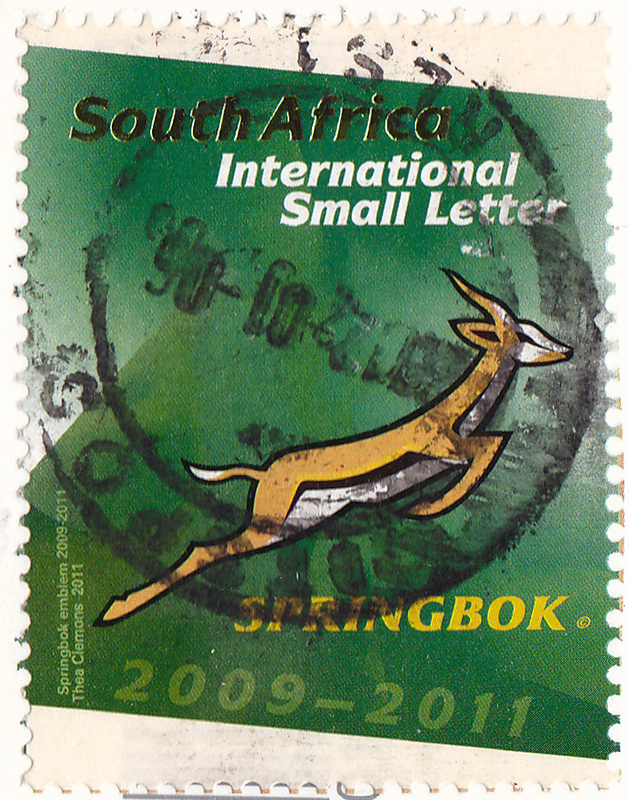 I like the stamp with its cute baby elephant. 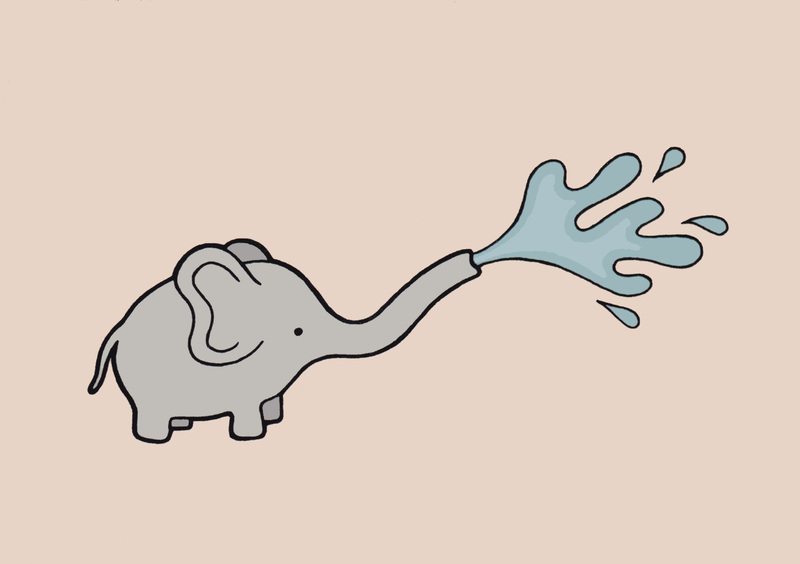 Which elephant is your favorite? These are Asian elephants, smaller than African elephants but still huge animals. St Louis Zoo has many Asian elephants and an elephant breeding program that produces many baby elephants. You can tell the difference between Asian and African elephants by their ears. African elephants’ ears are more broad and rounded, like the continent of Africa. Asian elephants’ ears are more narrow and pointy, like the Indian subcontinent where many of them live. Bonnie chose to adopt this card to represent her Irish ancestry. I, too, have some Irish ancestry and hope to visit the country one day. Thanks for adopting this card Bonnie! The next two cards were adopted by Jocelyn in South Africa. Jocelyn runs the stamp and mail blog called Cuckootree. Joceylyn adopted this Pikachu card because Pikachu was her favorite Pokemon when she liked Pokemon. Pikachu is certainly a popular one. I also loved Eevee. They’re both cute! Thanks so much to Jocelyn and Bonnie for adding their love and attention to these postcards! This week I got lots of great things in the mail. I got two fantastic cards from Postcrossing, two of my favorites so far, and I got an acceptance letter to my first-choice law school! All on the same day! It was a Very Good Day. This is Bangka and her daughter Faya, two elephants in the Rotterdam Zoo. Faya looks so little, but even a baby elephant weighs over 100 kilograms- more than most people! This pair of elephants reminds me of the new pair of elephants we have at the Oregon Zoo here in Portland. Rose-Tu gave birth to a baby named Lily last November. I haven’t been to see them yet but I plan to make a trip soon! This stamp shows Princess Ariane of the Netherlands. I hope it isn’t disrespectful to say that the princess is very cute! The second fantastic Postcrossing card is my first card from Korea! This has been a great week for mail. Have you received any great mail lately? Please share! 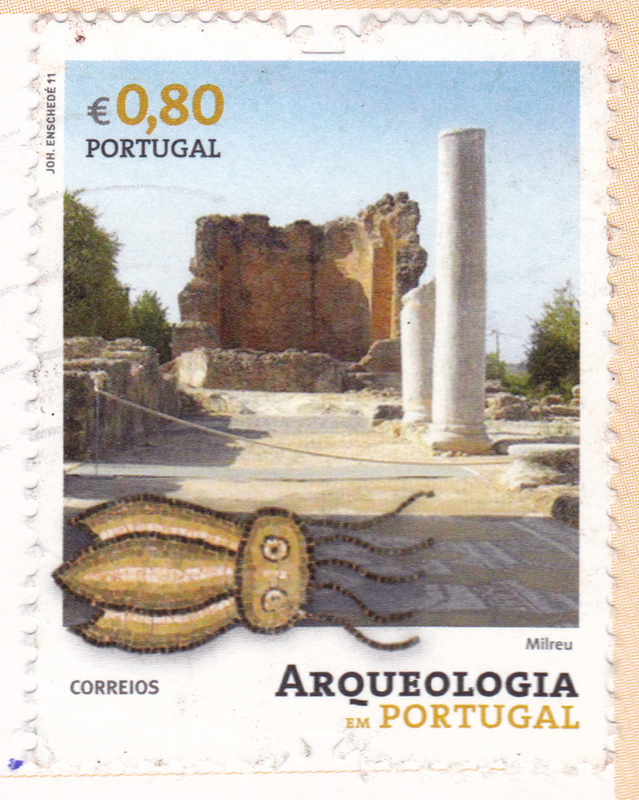 These three cards come from Rita in Portugal. 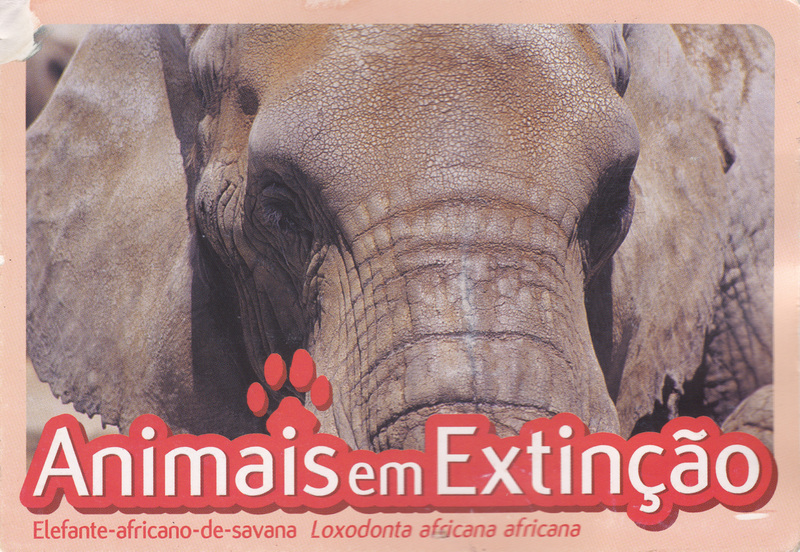 They are from a series of postcards released by the Jardim Zoologico in Lisbon showing endangered animals. The African elephant‘s population has been severely diminished because of hunting for ivory, but even though hunting for ivory was outlawed in 1989, poachers still are the elephant’s most dangerous predator. 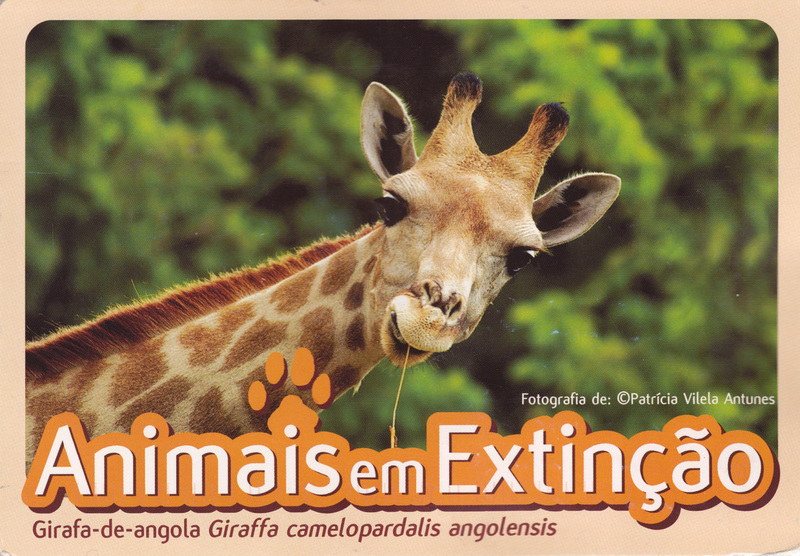 Though generally giraffes are not considered endangered, the Angolan giraffe is. It is estimated that there are only 20,000 of these types of giraffes left in the wild. I really like giraffes’ nubby little horns. The African penguin is also on the verge of extinction, with only 55,000 left in the wild. 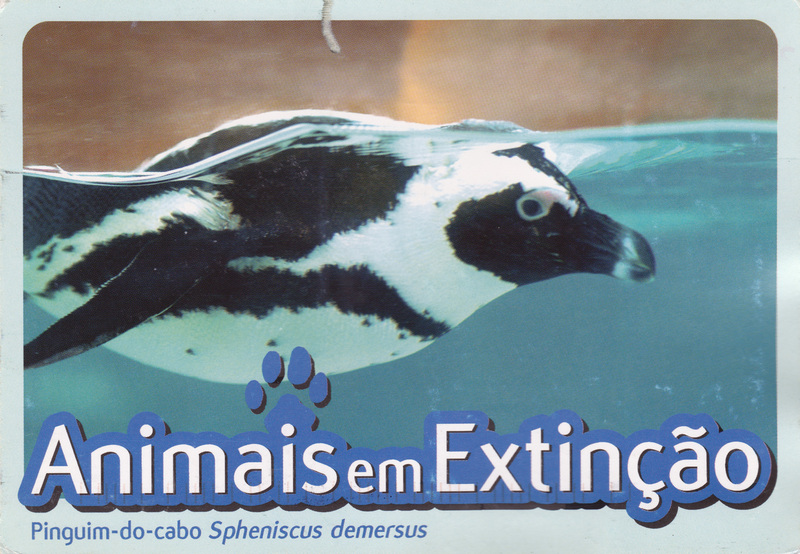 If the decline in population isn’t reversed, this penguin is expected to be extinct in only 15 years. These semipostal stamps from the US Postal Service are not only really pretty, but they help to fund conservation efforts for these vanishing animals. They work just the same as a regular first-class stamp and cost just 10 cents more, which all goes toward the conservation of Asian and African elephants, great apes, marine turtles, rhinoceros and tigers. I always buy a sheet when I need stamps, and if you live in the US, I encourage you to use these stamps on your postcards and letters, too. 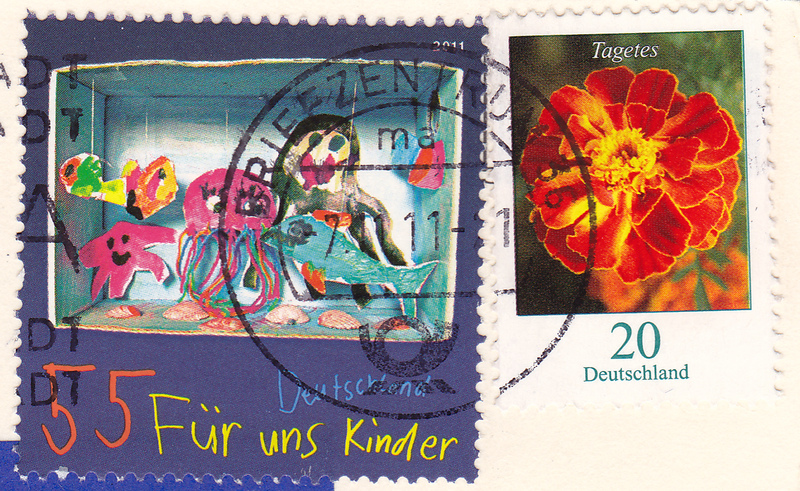 And if you’re from elsewhere, does your country issue endangered species stamps? Please let us know in the comments! Wouldn’t these be just adorable framed in a baby’s nursery? I am soooo far from even thinking about having a nursery, but they are just so darling! Have you ever decorated with your postcards? I am very happy to get another country in Africa for my collection. 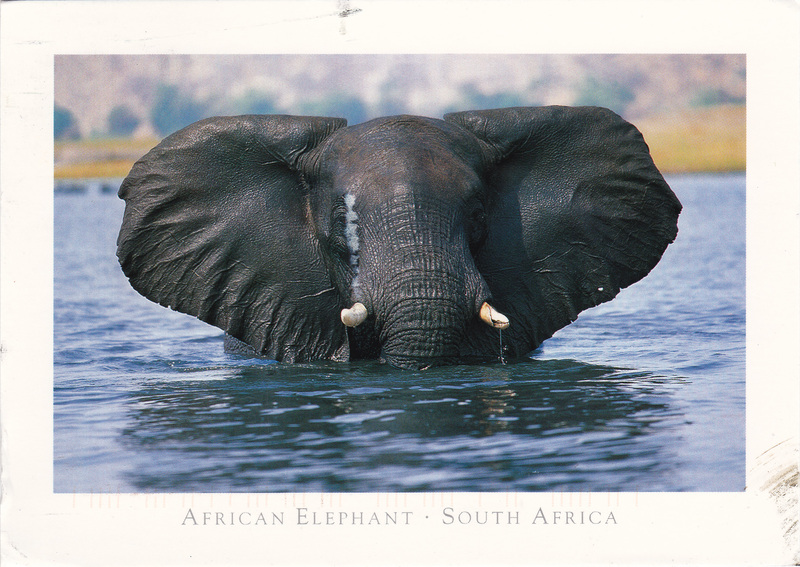 And I am very happy to get a card showing an elephant, one of my favorite animals! Now I hope I can get some more African countries; countries from the entire Southern hemisphere are poorly represented on my postcard map. Do you have many cards from Africa in your collection? 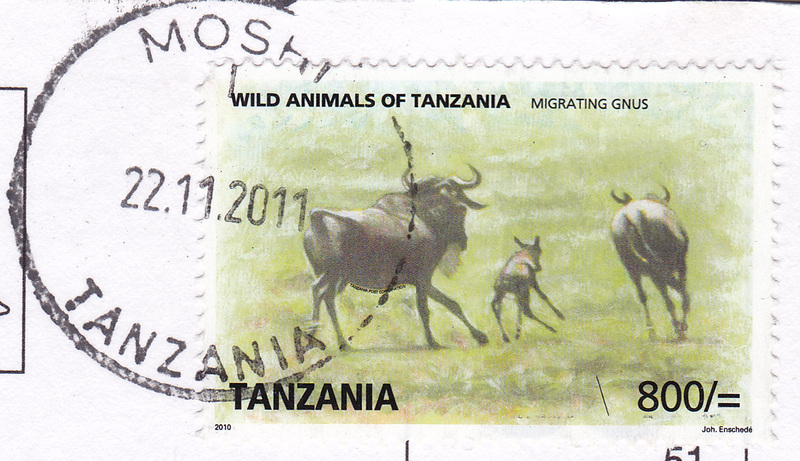 I’ve been adding a lot of new countries to my received map this week, but this card comes from the most exotic country yet: Tanzania. 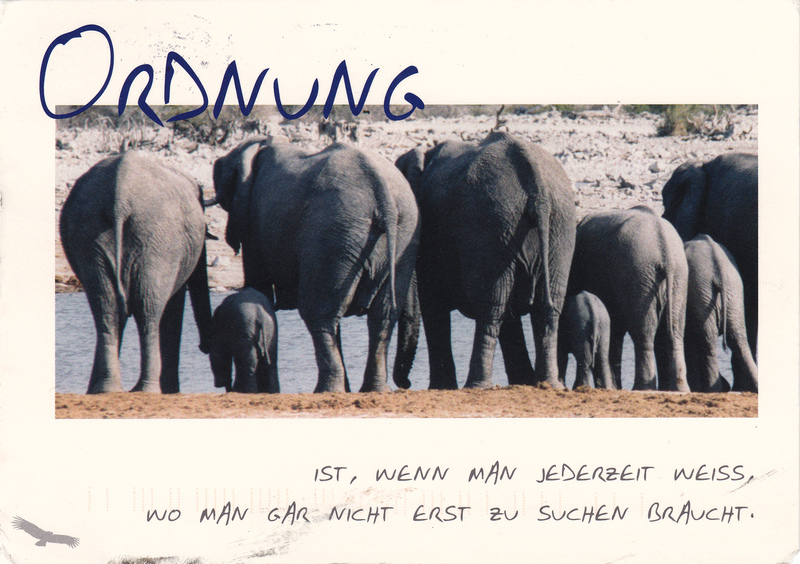 This card is special in so many ways: it’s from a neat new country, it has one of my favorite animals on it, and it was sent by a Tanzanian girl named Naomi. I received this postcard through the help of Hearts in Unity, a charity organization that provides school supplies, clothes, and food to children in Tanzania. If anyone needs help, it’s people in Tanzania. Tanzania is one of the poorest countries in the world, and half their population is under the age of 15. By donating just $5, I bought some school supplies for Naomi and received this lovely postcard. Please check out their website; there are lots and lots of ways to help this project. For those who like postcards, you can donate $5 (or more) and receive a card from Tanzania, or send your own greeting to the children there. If you like to knit or sew, they will take donations of knitted hats and hand-made school bags, as well as yarn and fabric scraps. They do seem to have a Christian-religious orientation, which I am generally opposed to, since I am a very secular person. However, their message and mission of hope and caring transcends religions, and I think it is most important to help those who are less fortunate, without regard to personal beliefs. I always like it when my postcard hobby can help make the world better. Have you had any experience with Hearts in Unity? Do you know of other ways postcards can help the world? Please share in the comments! Since I put together a little map of countries from where I’ve received cards, I have come to two realizations: all my cards seem to come from Finland, and I’m missing many countries in Europe. 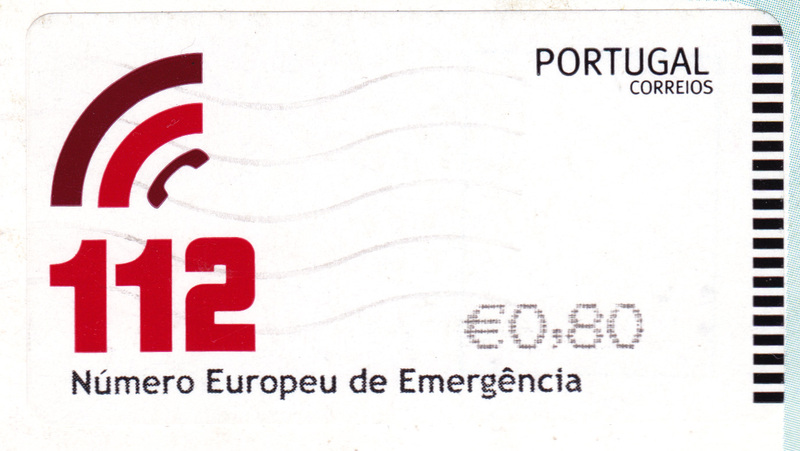 One country I was surprised to be missing was Germany, but that was fixed today when I received this official postcrossing card today!